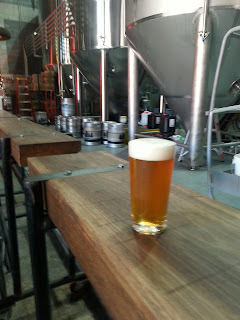 A blog for Australian beer, international beer available in Australia, and Australian breweries, beer bars, brewpubs, homebrew topics etc. Had our annual holiday in Shoal Bay, couple of hours north of Sydney. It's a couple of clicks east of the main centre of Port Stephens, Nelson Bay. Until recently, the immediate area lacked any particular beer-worthy subject matter, other than the pleasure of having early beers in the local pub with a newspaper and little else to worry about. But the Hunter Valley-based Hope Estate now has an outlet in Nelson Bay, and it's worth dropping in. Arrived on a Thursday afternoon with Libby, Chris and Jillian. 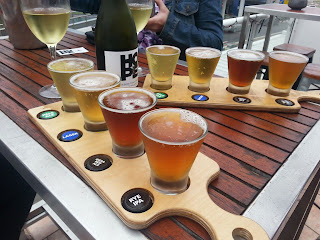 Chris and I went to the tasting paddle, naturally, while the ladies hooked into some Hope Estate chardonnay (located at the old Rothbury winery in Pokolbin). The paddle beers we selected included lager, pale ale, Indian Red Ale, Rye IPA. Afterwards we had a tin each of Imperial IPA. The lager seems to be a fairly dumbed-down offering, similar to a lot of Aussie lager that's being offered to the masses... not too fancy, and not too different from macros. Drinkable on a hot day, it's an everyman's beer. The pale aligns with the typical 'Aussie Pale' style i.e. US-pale with Southern Hemisphere hops. i.e. fruit cocktail. I'm a bit miffed that brewers have decided to use this name for this style. 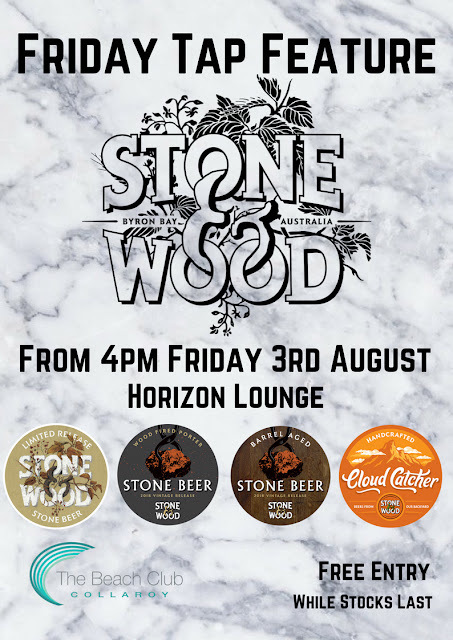 The term had previously been used for the Australian ales that were derived from English pales, but adjusted to use local Pride of Ringwood hops (read Coopers, Kent Town). So 'Australian Pale' now refers to bastardised Yankee beer, rather than bastardised Pommie beer. 'Southern Pacific' might be a better term.... with the connotations of tropical fruit and all that. Anyhoo I digress..... the Indian Red is a good drop. I'm becoming quite the fan of hopped-up Red Ales, as demonstrated by this one and the richer Former Tenant from Modus Operandi. Good balance of malt, hop flavour and bitterness. The Rye IPA is pretty good too, with a decent spicy backbone. For me, the can of 2018 Macedon Harvest Imperial IPA was the duck's nuts. This is a style that I think most teams are getting right. Bigger in all dimensions, with an additional sweetness that is a good counterpoint to the increased bitterness. I'd drink this all day, were it not for 9.5% ABV. The view's pretty good, looking out across to the marina. The vibe is quite funky/music venue, although the opening hours could be a little bit more progressive than Thursday afternoon through to Sunday night. These are ostensibly Winter hours, but there wasn't much allowance for Spring school holidays. But worth the wait, and worth the visit. I should point out that to get to Nelson Bay one needs to drive past Murray's Brewery, which I have covered on many occasions. Didn't get there this trip, but plan to visit the post-fire, newly rebuilt venue early next year. First can of several at the local rugby. There's an interesting opinion piece in the Good Food site, discussing the best way to age beer. 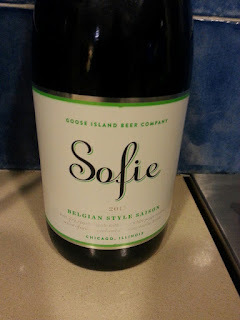 As I mentioned in a recent post (tasting Goose Island Sofie), cellaring beer at my place can be a challenge. Unlike wine, I'm generally of the belief that beers are always good when fresh. And although one may be able to improve a beer by cellaring it, it will depend very much on the style. For instance, if you're a hop-head, cellaring a DIPA will result in disappointment, as the pronounced hop aromatic and bitter attributes vanish relatively quickly. On the other hand, if the beer's profile is malt-driven, higher than average alcohol, and configured for secondary fermentation, there's a reasonable chance of it developing into something smooth and creamy. If there is a bona fide exception to my belief, it could be those extreme sour beers that need some time for the microflora to balance things out (e.g. Cantillon). The article mentions two examples of beers that age well: Westvleteren 12 and Coopers Red. I've been lucky enough to have tried the former a few years back, and still drink the occasional Sparkler. Certainly the legendary Trappist is a complex beast, a lot of which is due to the Belgian ale yeast and its big malt roster. As for Coopers Sparkling Ale, any packaged beer with a 'Best After' date is obviously thinking ahead. The author of the post makes a strident claim about bottles being better for ageing than cans. But he offers no supporting evidence, only an opinion that "it just isn't always the best way to store beer". In my experience, bottles come with some issues, and not just their mass and vulnerability to breakage and light-strike. For example, you wouldn't lie one down for cellaring, as you risk the cap rusting (I know this from experience). And for those beers with corks ? On the face of it, these may be better equipped for the long haul, but there have been concerns about of cork taint. Again, probably best stored upright. So, if we compared the ageing of big ales in cans vs. upright bottles, I reckon there would be little difference. But, I too have no supporting evidence for this claim. Time for some research. So, I am on the lookout for strong, malty ales that have some sediment. An ideal candidate would be available in both formats, but unless Coopers also start canning their Sparkler (Pale in cans), this might be a tough ask. At the very least, it's a good opportunity to see what canned beers are available that are not hop-heavy, but built for the distance over 12-18 months. 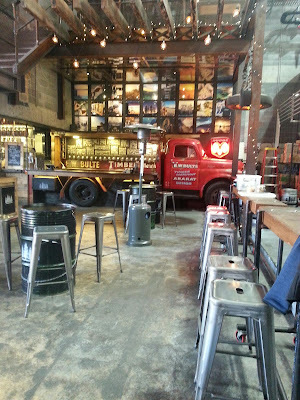 Got together with my old mate Jon last night, meeting at the All Hands Brewing House at King St Wharf. The venue is conveniently located at the bottom end of Erskine Street in the city (of Sydney), close to King St Wharf. It's even more conveniently located near to Beer Deluxe, which gives us more choice than we really need on a weeknight. Best stick to the one place. This place started its existence as a James Squire mini-brewhouse, back in the early 00s from memory. I remember going to the launch of the Golden Ale (now called The Chancer) at this venue, with legendary brewer Chuck Hahn holding centre stage. I recall the amazing flavour of a newly imported hop variety called Amarillo. Compared with the hop range today, Amarillo is kinda old hat. 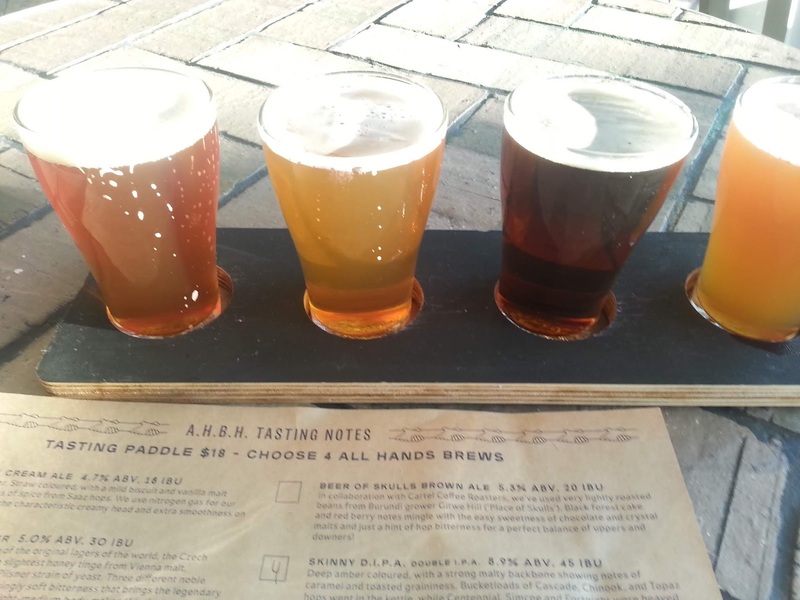 One particular AHBH beer manages to fit in six different varieties, old and new, including Cascade, Chinook, Topaz, Centennial, Simcoe, and Fortnight. An immediate flashback to a London pub was quickly subdued by the modern influx of US hop notes. A fairly light body and easy drinking. However, when returning to it after sipping the others, it couldn't hold its own. Drink this before trying the others. Well, it was Wednesday, so an appropriate inclusion. Six different hops according to the blurb, with the tropical fruit and pine notes generally associated with US ales. Strong guava/green seed notes that always reminds me of lantana. Not bad. The pick of the bunch so far, with the aforementioned combination of hops, with a great malty spine to counterbalance. Candy notes, apricot, pine. Comes in at 45 IBU, which I think could easily be ramped up. I hooked into this while waiting for Jon to arrive, and when he did, we moved on to happy hour pints of Wood Duck Cream Ale, at 4.7%., and at $8 a pint. Nice. This was certainly a revelation, being delivered via nitro tap (the black board said hand-pumped, but this was not the case), displaying the beguiling upside-down head as it formed out of bright, creamy, apricot hues. A very malt-driven style, and a wonderful alternative to the fruit bombs of US & Pacific pale ale styles. A great session ale, as Jon described it, and certainly worth the visit to AHBH for this alone. I was pleased to see the Certified Independent logo on the AHBH web site. I became aware of this a few weeks back when visiting Newcastle, and is an initiative of the Independent Brewers Association. Look for this logo. "The target was to taste 100 cans that provided a wide snapshot of the domestic brewing market. However, when palate (and general) fatigue kicked in, stumps had to be pulled. (It's with regret that brilliant independent brewers such as Batch, Modus Operandi, Akasha and Bridge Road were not tasted on the day, in spite of a sterling effort from the panel.)" I've got no issue with this per se.... one can get a bit jaded after a while when tasting a wide range (not to mention other possible effects). But, yes, regrettable to miss Modus (and the others too). 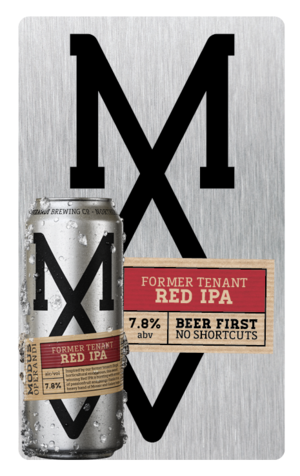 I'm a big fan of and regular customer at the Mona Vale brewery, and believe the Former Tenant Red IPA would have been a shoe-in for the Top 5, at the very least. The article's a good read, nonetheless. There's a lot to be said for kindly taking one's son to gym on a Saturday. Normally, Brookvale is not the friendliest of places to drive through. 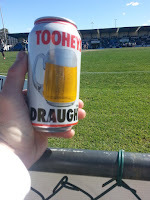 Saturdays seem more busy than weekdays, and combined with a home game to the Sea Eagles, there wasn't much room to move. The "Truck Bar" has an industrial Rust Belt feel about it, with probably my favourite device in any beer hall or brewery... a blackboard. There are a dozen or so offerings at any one time, and 4 Pines are particularly fond of fresh hops, so variations on XPAs and IPAs are the norm. Today I was torn between a Double IPA, and an Imperial Double. The guys were unanimous in their advice: go the Impy. Now, clocking in at 9%, and having to drive the boys home in 45 minutes, discretion ruled, and I ordered a half, for $8. Looks fairly innocuous, with a mid golden hue, and tightly packed head. But this is a well-built ale. Citrus, pine and musk candy notes, combining to remind one of the old Sherbie lollies. I love Sherbies…. Full bodied and silky. Rich on the palate, and long in the finish. Nice little ethanol warmth to polish it off. Came with a not-unwelcome flashback to one of Murray's old ales, reviewed a good 7 years ago...Spartacus, which was probably the first Australian Imperial IPA I had tasted. This style is most certainly driven by the bigger-is-better ethos from our friends across the Pacific, but I think when done with balance and freshness in mind, it can be brilliant without being obnoxious. And fresh is the word, particularly on tap in the brewery. Don't know what the future holds for 4 Pines, being recently consumed by the mega giant AB InBev (see https://craftypint.com/news/1632/ab-inbev-buys-4-pines), although on the face of it there seems to be little appetite for change. Let's hope the corporate accountants don't start influencing the joint, as these grain and hop bills, while not cheap, are vital to the character of these beers. Check out the Pyrmont Pub Crawl on my other blog. This beauty presented itself from the shelf at Dan Murphy in Mona Vale. 750mL cap seal, coming in at 6.5%, $20, the label advises to keep for 5 years to develop. Bottled on 20DEC17. Don't know about you, but I find cellaring beers very difficult. Managed to hang on to a Thomas Hardy Vintage Ale for a year, but that was definitely an exception. And for the purpose of illuminating you, dear reader, this will not become one either. Hazy pale apricot in colour, with rocky white head. Citrus and spice on the nose. Good light to medium mouthfeel, with an easy bitterness at the back. Flavours of citrus, musk, and Saison funky goodness.